The search for Self is vain, because it is a search for something that does not exist except as a mythical concept which has had to be taken into the structure of language by common assent. If it is used in any other way than as a fictitious convenience - if it is taken as meaning something real and enduring - it cannot be anything but a stumbling-block to the development of right understanding. 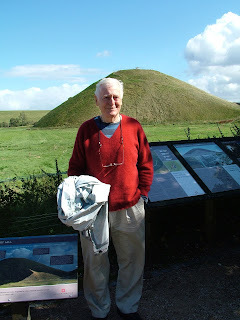 Eric Lubbock, Lord Avebury, b September 29, 1928. Upper Canada College & Balliol College Oxford (BA 1949, boxing blue); Welsh Guards (Second Lieut) 1949-51; Rolls Royce (aero-engine division) 1951-6; Production Engineering 1956-60; Charterhouse Group 1960-2. MP Orpington 1962-70; Liberal Chief Whip 1963-70; Chair, Parliamentary Civil Liberties Group 1964-70; Parliamentary Human Rights Group, 1976-1997; Traveller Law Reform Unit; Peru Support Group, 2003-; Cameroon Campaign Group 2003- Speaker's Conference on Electoral Law 1963-5; Select Committee on Science and Technology, 1968-70; Royal Commission on Standards of Conduct in Public Life, 1974-6 President, Data Processing Management Association, 1972-5; Fluoridation Society, 1972-84; Conservation Society, 1973-83; London Bach Society, 1984-98; ACERT (Advisory Council for Education of Romanies & Travellers) 2001-;TAPOL (Indonesian human rights); Kurdish Human Rights Project; Patron, Angulimala (Buddhist Prison Chaplaincy), 1992-; Founder, Parliamentarians for East Timor, 1988; Vice-Chair, Parliamentary Group for Tibet; Member, Institution of Mechanical Engineers (MIMechE); Fellow, British Computer Society (FBCS). Please note that Eric Avebury's telephone number (0207 274 4617) has now been disconnected. Anyone wishing to contact the family can ring his wife Lindsay on 0207 640 2306. Please note that due to limited capacity at the venue, this is an invitation-only event. Following the death of Eric Avebury on Sunday 14th February, we, his family would like to express our sincere thanks to all Eric's friends and colleagues for the lovely messages of condolence, reminiscences and support which are hugely appreciated. We are planning a Memorial Celebration of his life and work (hopefully in June). If you might be interested in attending such an event, please email victorialubbock@gmail.com. No flowers please, but donations may be made to Angulimala, the Buddhist Prison Chaplaincy Organisation of which Eric was a long-standing Patron. Account Number: 00004592. Bank sort code: 40-52-40. The death was announced this morning (14.2.2016) of Eric Reginald Lubbock, Lord Avebury, peacefully, at his home in Camberwell, south London, at the age of 87. He was attended by his wife, Lindsay, and other family members. The text below is intended as an aide-memoire to tribute writers who would like to remember Eric as a man of many parts. Eric Reginald Lubbock, 4th Baron Avebury, (born London 29 September 1928) was a British politician. He served as the Liberal Member of Parliament for Orpington from 1962 to 1970, and served in the House of Lords, having inherited the title of Baron Avebury in 1971. In 1999, when most hereditary peers were removed from the House of Lords, he was elected by his fellow Liberal Democrats to remain. He was educated at Upper Canada College in Toronto, Canada, and Harrow School, and he read Engineering Science at Balliol College, Oxford. He served as a Second Lieutenant in the Welsh Guards from 1949-51. Having joined the Liberal Party in 1960 and become a councillor the following year, Lubbock won a sensational by-election victory at Orpington on 15 March 1962, with a majority of 7,855. This was a swing of nearly 22% from the Conservatives and brought the number of Liberal MPs to seven. Following his victory, he was dubbed "Orpington Man". As the MP for Orpington, he was appointed Chief Whip by Jo Grimond in 1963, a post he held until 1970. In the Commons, Lubbock was on the Speaker's Commission on Electoral Law from 1964 to 1966. In a private members bill in 1968 he proposed the Caravan Sites Act, which resulted in the provision of 400 pitches for Gypsies and Travellers. This was effectively repealed by the Criminal Justice and Public Order Act 1994  In a country where very few politicians are willing to stand up for Gypsy and Traveller rights, Lord Avebury continued to champion their access to education and a place to live. He was Secretary of the Parliamentary Group for Gypsies and Travellers and Patron of The Traveller Movement. During his life in Parliament as an MP, he campaigned for many unpopular causes, which later on became law. He proposed STV in multi-member constituencies, only to be voted down by 18–1. He also proposed reducing the voting age to 18 and in 1967 supported the reduction in age of consent for male homosexuals from 21 to 16. From 1962-70, he was Chair of the Parliamentary Civil Liberties Group. He lost his seat in 1970. In 1971, Eric was Chair of the Peter Hain Fund, established to defend Peter Hain against a charge of ‘criminal conspiracy’ in connection with the Stop the Seventy Tour Campaign. Eric had Liberal politics and views in his DNA. His grandfather, great, great grandfather and three x great grand uncles were all Whig Liberal MPs. His life was one of long standing support for the Liberal and then Liberal Democrat party. He loved his work at the House of Lords and, prior to his ill health, he had one of the best attendance records there. As much as the formal debates, Eric also enthusiastically dealt with a huge caseload of work – mainly espousing various causes for which he was well known. Within Parliament, his expertise and experience were widely recognised and his networks together with knowledge of the system was a valuable asset in facilitating progress on tasks for both colleagues and those he sought to help. Lubbock was a grandson of John Lubbock, 1st Baron Avebury and the following year upon the death of his cousin he succeeded to the peerage, becoming Lord Avebury. He sat on the Royal Commission on Standards of Conduct in Public Life 1974-6, and was Liberal Spokesman on Immigration and Race Relations, 1971-83. Throughout his time in politics he was at the forefront of human rights activism, both in and beyond Parliament. In 1976 founded the Parliamentary Human Rights Group, which he chaired for the next 21 years. He continued to be Vice-Chair until his death. Throughout his parliamentary life, Lord Avebury has fought for the rights of refugees and asylum seekers both through legislation and on an individual basis. There are hundreds if not thousands of individuals now settled in the UK, who have fled from repressive regimes, from persecution, imprisonment and torture, whose cases he has taken up. He has also fought for the rights of families of refugees and other exiles to be reunited in the UK. He was a member of the Liberal Democrat Foreign Affairs Team, speaking frequently on conflict resolution and human rights. Trained as an engineer, Lord Avebury retained an interest in science and engineering. In 1957, together with his mother, he set up the Maurice Lubbock Memorial Fund to commemorate his father, following his early death. This established a Trust, which Eric chaired for 56 years, aimed at supporting Engineering and Management at Balliol College, Oxford. These were the two subjects dear to both him and his father. They also formed the basis of Eric’s early career at Rolls Royce and as a management consultant. The Trust is still going today and is one of the longest lasting of such ventures. He was elected to an Honorary Fellowship at Balliol College in 2004. Lord Avebury is an Honorary Associate of the National Secular Society and a Distinguished Supporter of the British Humanist Association. He frequently raises matters related to British nationality law in Parliament. He has been a strong supporter of the citizenship rights of the solely British ethnic minorities in Hong Kong, and has successfully fought for their rights. He was also President of the Peru Support Group, and advocated on human rights issues in Peru, and was a Patron of Prisoners Abroad, a charity that supports the welfare of Britons imprisoned overseas and their families. In 2009, Lord Avebury was awarded (with Dr Evan Harris MP) the National Secular Society's Secularist of the Year Award in recognition of his role in the abolition of the common law offence of blasphemous libel. He continued to campaign for religious tolerance and against the persecution of religious minorities in a number of countries. Lord Avebury was a Co-Chair of the CHT (Chittagong Hill Tracts) Commission, which monitors the implementation of the CHT Peace Accord by the Bangladesh Government. Lord Avebury was a long supporter of the Ahmadi Muslim community, a small Islamic denomination who suffer serious persecution in many countries for their beliefs. He was the recipient of the Ahmadiyya Muslim Peace Prize in 2009. A Buddhist, he was an active Patron of Angulimala, the Buddhist Prison Chaplaincy which promotes the provision of facilities for the teaching and practice of Buddhism in Her Majesty’s Prisons and other places of lawful detention or custody. He visited prisons, and raised prison issues in the House. His Buddhism gave him a kind of peace after the restlessness of his early years. With the exception of a few days missed in June last year, due to ill health, Eric attended the House of Lords on every day that it sat. However, he last attended in December, before his illness overcame him. He died of acute myeloid leukaemia on Sunday February 14, at his home in London. He has married twice: (1) Kina-Maria O’Kelly de Gallagh (1953-1983). They had three children: Lyulph, Maurice and Victoria. (2) Lindsay Jean Stewart (1985-). They have one son, John William. Eric has five grandchildren: Vanessa and Alex, Archie and Alastair, and Olivia. Other interests include golf (in his early days), science and its support by government; history, especially family history (in later years) and a passion for early music especially J S Bach. This led to his involvement with the London Bach Society. He was President of LBS from 1984 to 1998, when he continued as Vice President until the present time. He was a loyal and dedicated supporter who rarely missed a concert. I met with Bhante from Forest Hermitage on Sunday after his visit with Lyulph and Sue to the graveyard near Orpington. Bhante told me when he arrived at Flodden Road that he considered the graveyard suitable and we agreed that a small family interment ceremony would be held there as soon after my death as convenient. The family thought a memorial event would be nice at a later date. Two visits to King's this week (Monday and Tuesday) to have a unit of blood each time and on Tuesday, a unit of magnesium. It was exhausting. Kina came to see me yesterday and she has kindly agreed to source some acrylic paints for little Kohee who gave me her wonderful painting of the stone circle at Avebury. I also saw Emilda from St Christopher's and our GP, Dr Davies. Lyulph and Sue are coming this afternoon and Victoria has been staying here since Monday. Slightly recovered my sleep patterns by having a nap for about two hours in the morning. This evening I had a whole bath, not just a pretendy wipe down. The careers would no doubt have been horrified if they had seen me get out of the bath by myself with the usual technique of grabbing the bar with my left hand and levering myself up to the rim of the bath and sliding over to the board. I felt totally clean for the first time in weeks. Tomorrow is the big day when Bhante circumnavigated the M25 and comes off of the Orpington turn, meeting Lyulph at the renovated graveyard and then coming on for a visit at Flodden Road. Most of the day at King’s from 10.00 to 16.00. The transport department had been asked to provide oxygen but tried to pretend he had said it wasn’t needed. Kidney function bad, deteriorated a little but not to the extent that it required action. Haematologist had not seen the complete blood results but enough to tell us there had been further deterioration over the 5 days since our last visit. “Leukaemia is taking off”, she said. She made arrangements for me to have a blood transfusion next Tuesday. I only had a magnesium infusion through the wonderful PICC line which allows most transfers of fluids to be made via a semi-permanent line in the arm. The only medication suggested was hydroxycarbomide, but that was of doubtful benefit, so we agreed not to bother with it. First half of last night went well, but after midnight, Stripey the cat kept jumping up on the bed and trying to sleep on my feet which is fine in the daytime but not at night. As he makes a habit of it, I need to find a solution that allows me to have a peaceful sleep without cats jumping up and down on my feet. The whole point of getting out of hospital was to have a peaceful sick room environment, and after midnight, this is not it! Lord Avebury, an 87 year old gentleman with known myeloproliferative disorder, presented with deteriorating renal function. Prior to admission he had suffered from nausea and vomiting for 2 weeks and diarrhoea for 7 days. Creatinine was 293 on admission from a baseline of -110 in December and he was clinically dehydrated. During the admission his renal function improved (creatinine) and he was clinically well. Lord Avebury has previously required bilateral renal artery stenting for stenosis. Repeat renal artery Dopplers demonstrated in-stent re-stenosis (severe on the right, moderate on the left). His case was extensively discussed during the radiology MDM and it was decided that repeat angioplasty and stenting would give long-term benefit. The improvement of his renal function allowed this procedure to be organised as an elective case and was therefore not possible to be completed during this admission. It will therefore be re-scheduled as a routine outpatient procedure. During his admission he required multiple transfusions of platelets and blood for his transfusion dependent myeloproliferative disease. Hb was 83 and platelet count 22 at discharge. Regular transfusion will continue to be required after discharge and this will be arranged under the care of the haematology team. To support the provision of blood products a PICC line has been inserted.